Mali Mish - Day 158: Done with the Keys and headed Naples. Day 158: Done with the Keys and headed Naples. 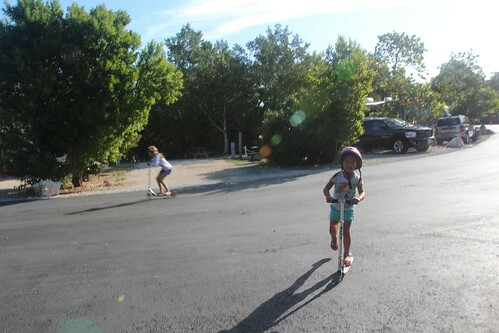 This is the second time in the keys that the morning when we leave a campground Ava finds a friend to play with who has just moved in next door. Our last morning at Long Key was exactly the same with Ava finally playing in the water at our beachfront site. This time, she is playing with a girl named Savannah who showed up last night with her parents that happens to be right next to us. Savannah’s parents are a couple who moved recently to Pensacola from Puerto Rico. They are relatively new to the RV world but have traveled extensively. They own a J/46 sailboat down there and had intended to cruise as a family but the plan never materialized as they had hoped. 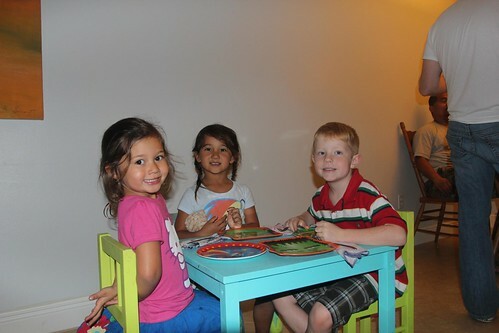 Now that they are in the mainland, they are hoping to do a lot more traveling in their class C RV since Savannah is also home schooled by her mother. Just on the other side of Savannah and her parents is a nice older gentleman named Carl. He is in a 34 ft Avion trailer. When we first got to Bahia Honda State Park 28 days ago, Carl was 2 sites down from us. A few days after we checked into Long Key, Carl moved in 2 sites down from us once again. 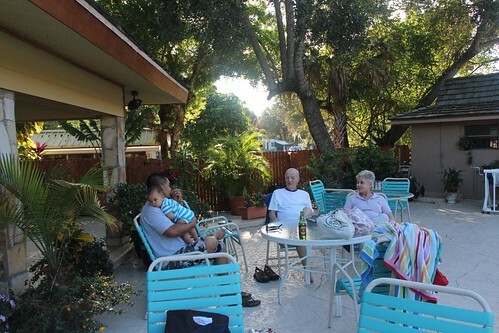 While we were in Curry Hammock, Carl more or less spent his time there as well. When we got here to John Pennekamp, we found out that Carl is already here. If I didn’t know any better, I would think he is stalking us. But the reality is more likely the opposite. 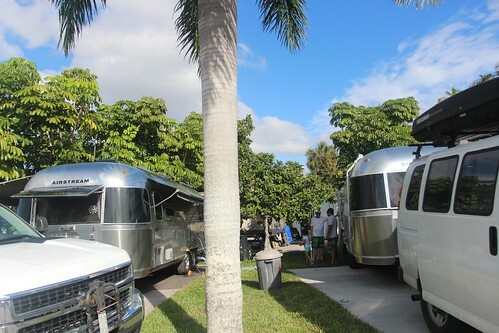 He has been spending his winters in the keys way before I had ever laid my eyes on an Airstream. If you are down here, look for a black Dodge dually pickup truck with a 34 ft Avion and tell him I said hello. 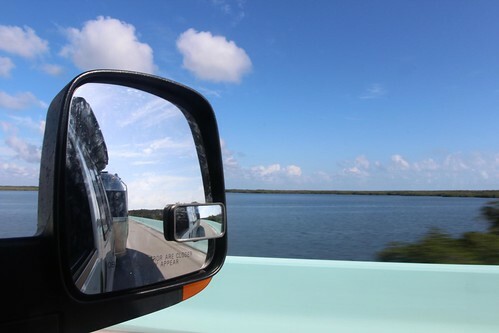 Since Pennekamp is in Key Largo, getting back across to the mainland is a pretty quick drive. Even though we have been here almost a month and anxious to see something else, I already know that I will miss it within a couple of days. Our plan today is to drive across the peninsula to the gulf side. We are meeting Frank and Debbie from StreamingTogether at a campground in Naples. We decided to take route 41 across instead of I-75 which is typically a good idea. It is more scenic and usually has less traffic. We actually got stuck behind a dump truck with half of the road under construction. All of the stop and go along the road must have put quite a bit of wear and tear on its brakes. About a couple of miles down the road, its brake hub shattered and big chunks of it started to fall off. I had to veer off the road a couple of times to avoid running it over as it would have definitely caused some damage to the van, Airstream or both. Even though I-75 is now known as ‘Alligator Alley’, route 41 is the actually the original alligator alley. 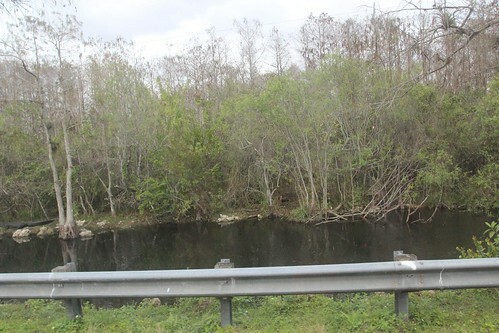 It is here where you can still see alligators right off of the side of the road. There are some areas where they just pile on top of each other in the sun to keep warm. This is the best picture we got as we were driving by one. Look to the left edge of the photo just along the water on the opposite side of the river. We got to Rock Creek RV Park in Naples and Frank was waiting for us by the road to wave us in. The site next to him was vacant for the night and he had asked the campground to see if we could park for the afternoon. We were able to back into the spot for free for a couple of hours as long as we didn’t plug in. No problemo. The girls loved that they had a pool here. 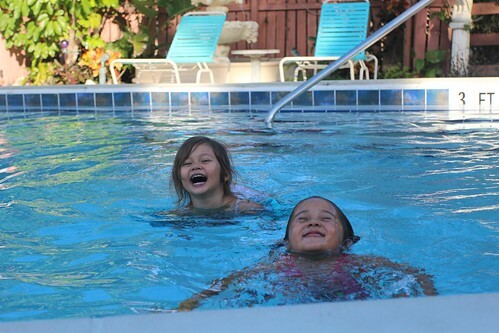 They have been hoping to swim like this for almost a month but all they had was the warm and sunny Atlantic Ocean. Yeah, I don’t know who these spoiled and picky brats are either. We got to catch up with Frank and Debbie on our adventures since our last meeting. You might remember that we parked at their mountain cabin in Tryon, NC a couple of months ago just before Thanksgiving. Since then, the weather has warmed up about 30 degrees during the day and probably almost 50 degrees at night down here in south Florida. After our visit with Frank and Debbie, we headed up the road to meet up with Brian, Beth and their 2 boys of Wander365. They are the family we met during our stay at Long Key that found us through Instagram. They invited us to their home for dinner since they knew our path will take us right through their town on our way out of the keys. We happily obliged. This will be the second time they are making us dinner since they offered us food at their campsite as well a couple of weeks ago. Their boys had been anticipating Ava and Mila’s arrival. 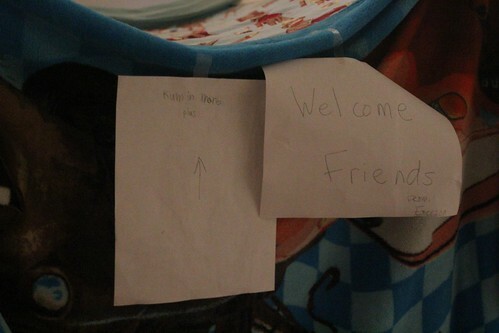 They built a giant blanket fort in the middle of the living room with welcome signs. The girls loved seeing their new friends again. 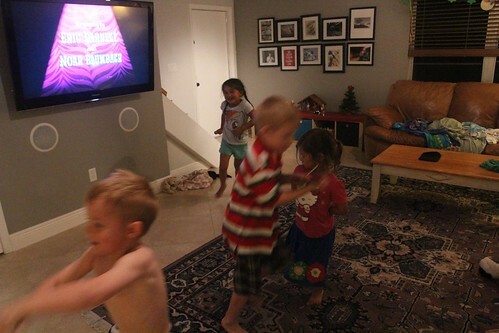 After a long morning on the road, an afternoon swimming in a pool, they were still fired up to scream and run around like chickens with no heads. Luka soon will be joining in on the action. For now, he will have to hang near the grown ups so we can keep an eye on him. 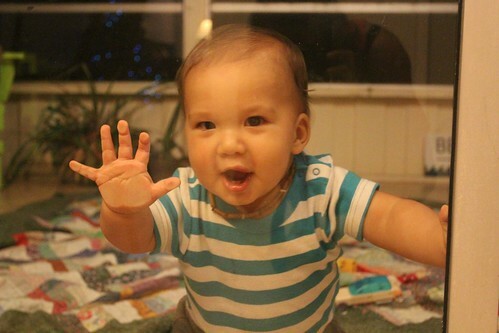 He might be trying to eat his way through the sliding glass door. After all, eating is what he does best. Tonight, we will be packing up and starting our trek further north. We will make our way towards Tampa Bay and spend the night at another Cracker Barrel in Bradenton so we can check into our campsite at beautiful Fort De Soto County Park tomorrow. Day 157: Another quiet day at John Pennekamp. 2 Responses to Day 158: Done with the Keys and headed Naples. hey there we spoke to you briefly at curry hammock a few weeks ago…we looked up your site while waiting in the sewage dump line behind you and said hello. What a fun blog to read! 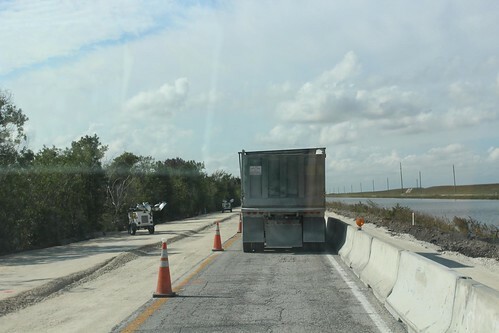 I see you are going to fort desoto….I think you will like it. We grew up in Tampa, and now live an hour north of Tampa in a small town called dade city. I hope you have safe travels. Hi Carmen! I remember you guys. I am glad you are still reading about our little adventure. We actually just left Fort De Soto today after spending a week there. We are typically about a week behind on the blog. We loved it. It was actually our second time there but the first time was only for a couple of nights.